Preclinical Imaging, Molecular Imaging , Pharma-tox., CRO. The mission of the Company is to study, develop and pursue the application of imaging technologies in preclinical drug research and development. Expertise of EPHORAN's founders guarantees outstanding knowledge in all imaging modalities and excellence in R&D activities. Strategically located in the Bioindustry Park Silvano Fumero, at Colleretto Giacosa/Ivrea (Turin), Ephoran operates in laboratories covering an area of more than 1100 square meters. The available techniques that are used by Ephoran in experimental imaging are those already extensively employed in the clinical setting (e.g. PET, CT, SPECT, MRI, US) and Optical Imaging (visible light and Near Infra Red). Ephoran offers the opportunity to apply a translational pharmacological approach in drug research and development, This consists in evaluating in animal models a molecular-based proof of biological activity and mechanism of action, and translating it into the clinical setting. 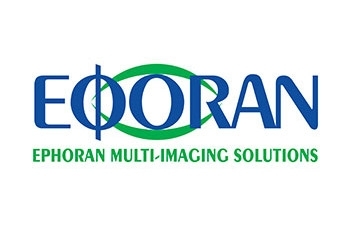 Ephoran fosters the development of diagnostic tools, tracers, reagents and methodologies for experimental imaging and will help the fast growing Biotech and Pharmaceutical companies to speed up their research projects, downsizing costs as well as time to market.